Al-Anesi, my airport pickup, whose jewel-bedecked jambaya dagger sat at his midsection like a monstrous scimitar waiting to be unsheathed, was full of smiles and colourful teeth. Nothing it seemed could trouble him that morning: neither the frenzied traffic, nor my questions about the political demonstration that we passed outside the heavily guarded Ministry of Interior building. But as we coasted further along the dusty streets of Yemen’s sprawling capital Sana’a, past a bus depot brimming with every manner of ragtag character, I could not help but feel a slight bit of trepidation. After all, wasn’t Yemen supposed to be the seedy underbelly of the Middle East? A borderline failed state whose chaotic tribalism and medieval disposition make it utterly uncontrollable? Stories about Yemen’s kidnapped tourists, whisked away to an impenetrable alpine wilderness and fed a mixed fare of chivalrous hospitality and snake-meat have by now become the stuff of legend. Yet, beneath the veneer of sensationalism and the vilifying epithets of a nation caught perpetually in the headlines, lies a gem of a country waiting to reward the intrepid traveller. Containing natural splendours, jaw-dropping architecture, and an intact culture, Yemen is without a doubt one of the last great frontiers of adventure travel. The perfectly preserved Old City of Sanaa, the jewel in Yemen’s cultural crown and a UNECSO World Heritage Site, is a veritable time machine that transports visitors into the past. Its fairytale book metropolis teems with ancient high-rise buildings made of stone and brick, many of which date back hundreds of years. It’s true that travellers must exercise both caution and common sense when planning a trip to Yemen. A largely unreported conflict in the Sada region in the north of the country continues to seethe, while random attacks against foreigners – rare as they are – still do occur. Yemen’s growingly restive and tribally politicized population has caused the government to institute measures to protect tourists. Overland travel through the more dicey areas of the country requires an official permit from the Ministry of Tourism which is often granted or withheld on a whim. Travel with registered tour guides, and sometimes an armed retinue of Kalashnikov-wielding Bedouin, has become in many cases de rigueur. As a result of the bad press and negative stereotypes, Yemen sees only a handful of travelers every year. These are mostly Europeans in search of exoticism and adventure, and westerners enrolled in the country’s well-known Arabic-language programs centered in Sana’a. In other areas of the country, including the Africanized Red Sea Coast and the Bedouin-populated east, the absence of foreigners can be shockingly conspicuous. For travelers who are compelled to see Yemen but who lack the requisite appetite for risk-taking and the harried logistics of movement between unknowns, Yemen’s capital Sana’a, especially its old city, remains the easiest and most accessible option. Comprising a tiny part of the sprawl of greater Sana’a, the old city is a universe unto itself. Enclosed within the city walls, sections of which remain standing, are a dizzying maze of pedestrian thoroughfares and narrow alleyways. Here one finds Sana’a’s ornately decorated high-rise homes, souqs selling everything imaginable and expansive gardens that were once used as communal growing areas. One can get lost for days exploring the endless matrices of streets, byways and cul-de-sacs that wind through the various districts of the old town. During the day, Old Sana’a’s wider thoroughfares bustle with life as residents flock in droves to shop, go to the mosque, socialize, and to conduct their daily business. At the epicenter of the old town is the Souq al-Milh – the city’s spice market. Here black-clad women arrive in the morning to fill-up on grains, seasonings, and sticky-dates. 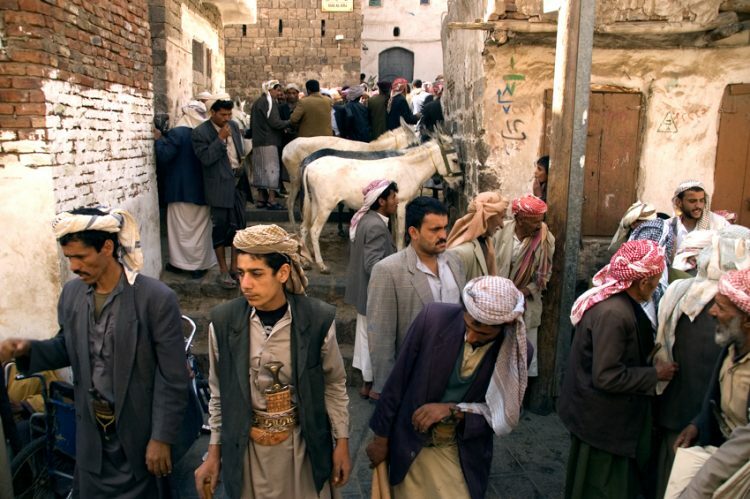 Behind that market, scenes of pandemonium unfold as groups of men – wearing the traditional northern Yemeni garb of a Western suit jacket over a jalabiya – throng a series of tea stalls, kabab vendours, and cooking kitchens. By noontime, the area is overrun with every male in the old city arriving to eat at one of Sana’a’s two lunchtime institutions: Houmayda Salta and al-Farran. Both restaurants, fierce competitors, specialize in the Yemeni national dish, Salta – a bubbling meat and vegetable stew seasoned with fenugreek and cooked over blazing gas fires stoked with industrial air-blowers. A few steps around the corner and the scene transforms yet again as you walk into the narrow and dingy alleyway that is the Souq al-Khat. Here men and boys line the floor of the alleyway on both sides, selling little bushels of the Yemeni plant, khat, which is chewed daily throughout Yemen as a stimulant. In the mornings and early afternoons Sana’a’s men come to barter with the sellers who receive a daily shipment of khat leaves from different parts of Yemen. The strength and price of the khat varies depending on the soil conditions of the region it is grown in, and the care given to growing it. Prices start from 400-500 Yemeni riyals (around $2 dollars) for the weakest variety typically grown around Sana’a, to a few thousand riyals (upwards of $10 or more) for the stronger variety delivered from rural areas outside Sana’a. “You never know what types of khat you will find here from day-to-day,” says Abdul Wadud al-Abbasi, manager of the Hotel Dawood and a frequent visitor to the souq. “There has been little rain in the last few months and so the quality of the khat has now gone down. It’s not a problem for the tourists who don’t know the difference. 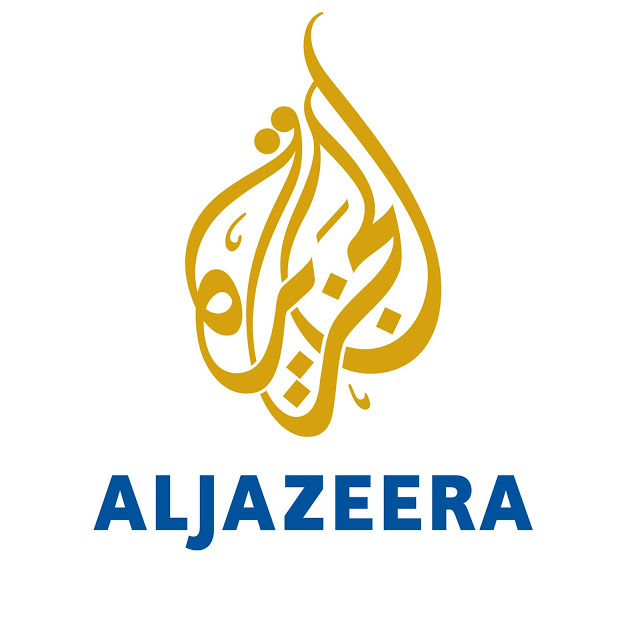 But for us Yemenis, it is another story,” he adds with a grin. Wandering away from the ruckus of the central market into the narrower alleyways of the old city, one finds a different Sana’a. In the late afternoons the mood is quieter and the light is softer. Adult traffic has begun to taper off, giving way to children who are out spinning wooden tops, playing marbles, or kicking around soccer balls made of cellophane wrap. Seven-stories above, on the roof of the Burj al-Salam Hotel, a four-star lodging renovated from an old apartment building, the mood is much the same. Here one can imbibe the vistas and medieval ambience of old Sana’a at the apex of its charm – at sunset. 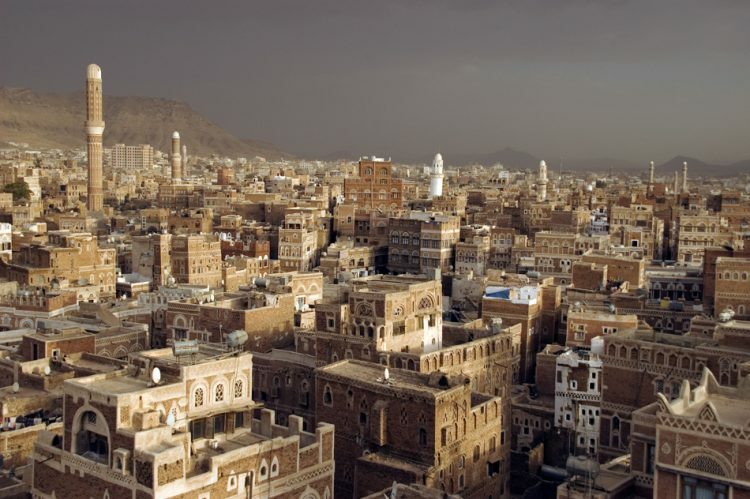 At that time the city’s apartment blocks come into robust view, forming a skyline that subsumes the whole of Sana’a. As the sun dips behind the Haraz Mountains and the wind kicks up, the evening call-to-prayer rings out, reverberating simultaneously from a hundred different points across the city. If asked, one would be hard-pressed to find a more entrancing and unforgettable scene. It’s one which unfolds repeatedly, but which takes a back seat to the other associations of Yemen that keep this magical country well off the beaten path. This story appeared in The National newspaper of Abu Dhabi on May 8, 2008. To see more photos from Yemen, click here.